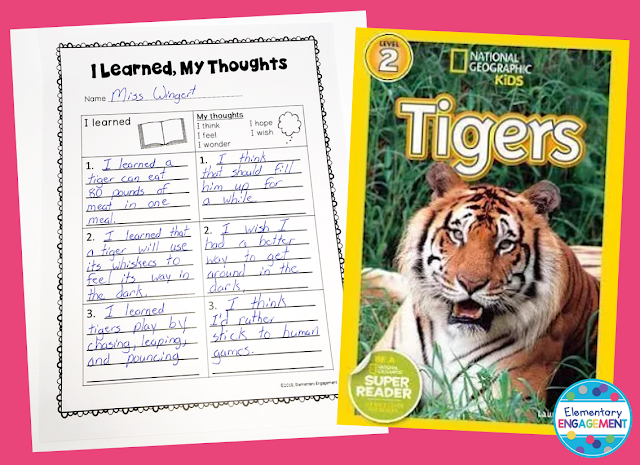 Sometimes, it's easy to get in a bit of a rut with student responses to reading. I do see lots of value in Post-it notes and reading response journals. I also see lots of value in trying different response modes. I have blogged about how I use Padlet as an alternative way for students to respond to reading, and that works great in my classroom! 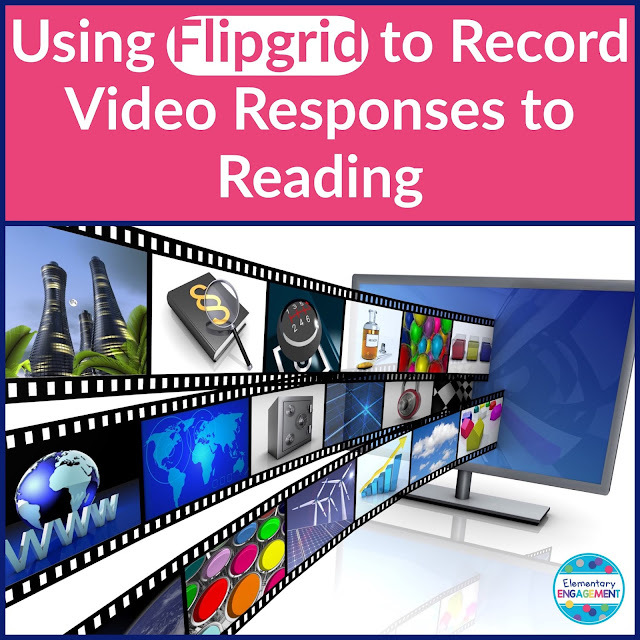 I recently tried using Flipgrid for partner responses to reading. 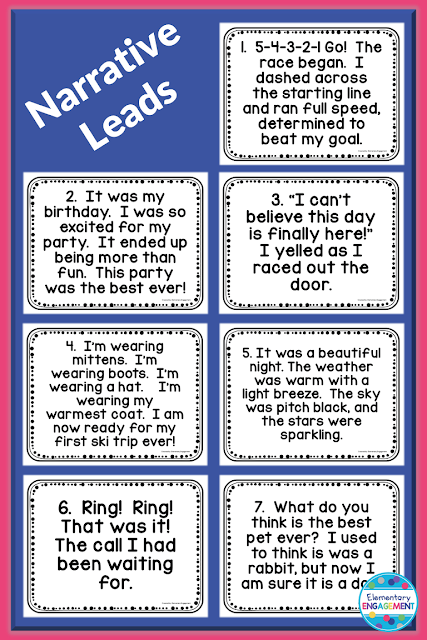 If you are looking for a motivator to up your engagement for reading responses, this is a great option. Flipgrid is a FREE video service that Microsoft offers to educators. 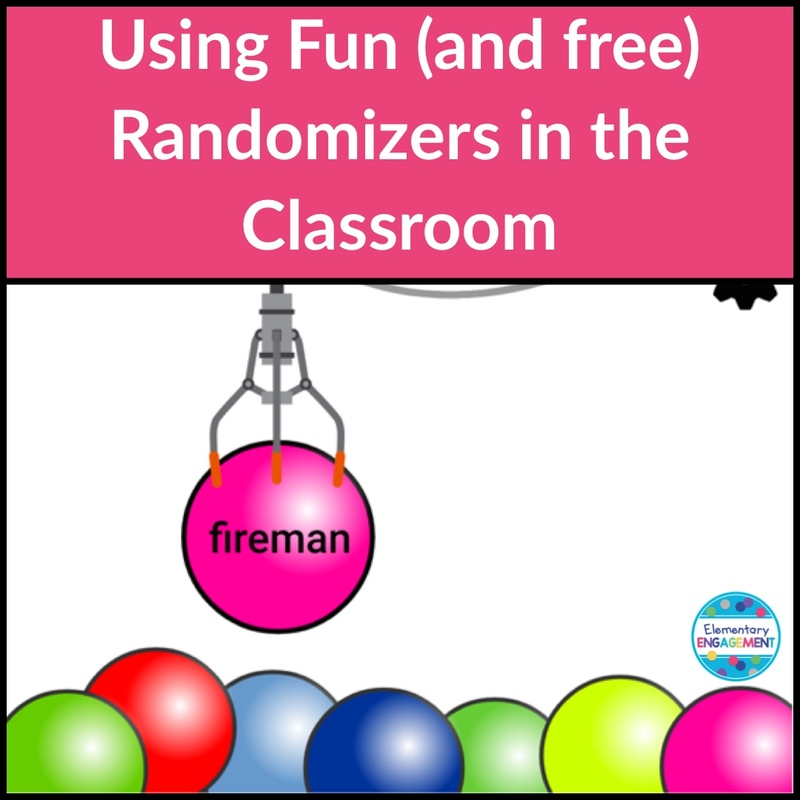 There are a few kinks to work out for future use in my classroom, but overall it was a huge success! The goal for this activity was to get students to talk more in depth about their topic, using a graphic organizer as a guide. As with all new activities, I knew I would have to provide a model, so I filled out this graphic organizer ahead of time based on the book Tigers by Laura Marsh. Next, I recorded my response. I added a few extras in addition to what I had written on my paper. You can watch my video by clicking here. After students saw my video, we worked together to create a list of rules and procedures for this type of response. We discussed possible problems and how to avoid them. Here is what we came up with. 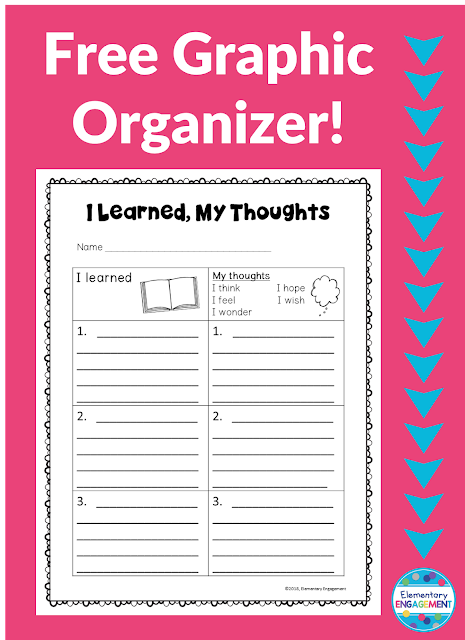 When students finished completing their organizers, they had to checked by a teacher. (I am very fortunate to have a fantastic Intervention Specialist teach with me during this block.) Once the organizer was approved, students rehearsed and recorded their videos. Despite a few minor technical difficulties (which are always to be expected when trying something new), students were able to record their video responses. At the end of the recording, students were prompted to take a selfie. 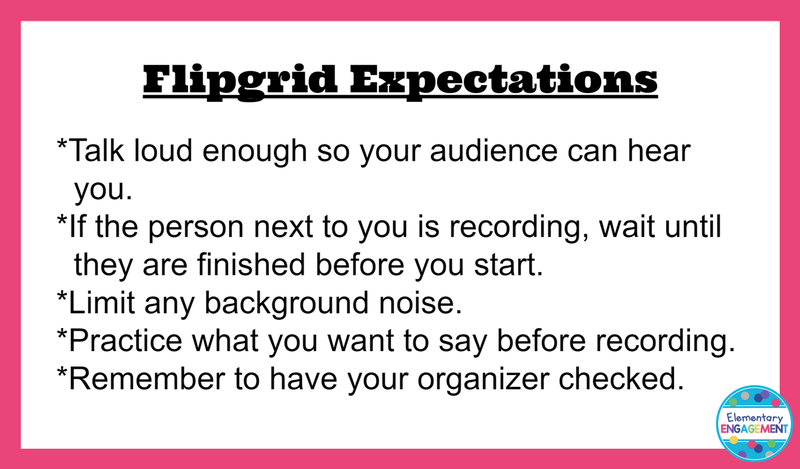 After I listened to the videos, we had some follow up discussion on voice level, background noise, and elaboration, I allowed students to rerecord their responses if needed, keeping the rules we had established in mind. They did a fantastic job! Next, students took turns listening to responses recorded by their reading partner. I love how this program allows students to record a video response. 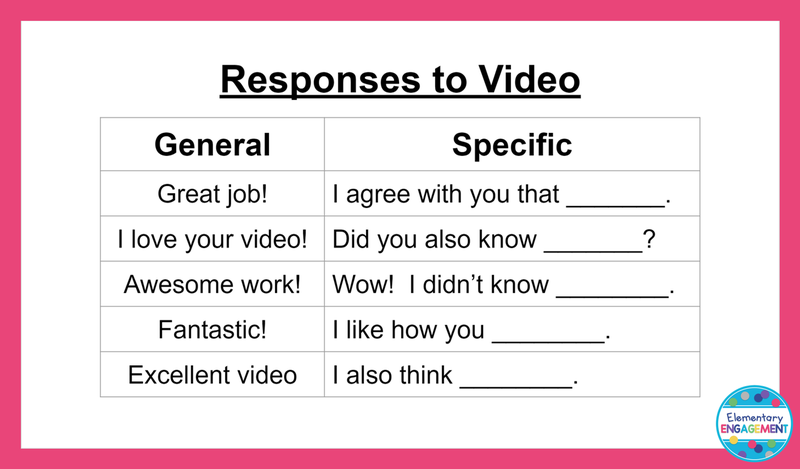 Before recording feedback, we reviewed the list of sentence starters below. 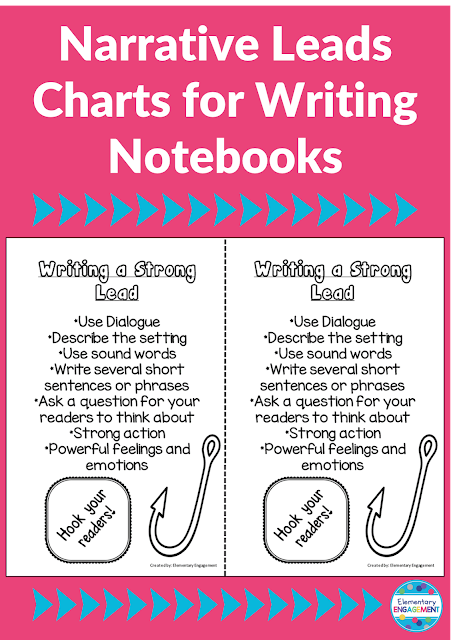 I also printed this slide out (four to a page) so students would have a mini chart to keep with them when we do this activity in the future. If you are interested in using the graphic organizer I made for this activity, you can download it here or by clicking on the picture below. Have you tried Flipgrid in your classroom? 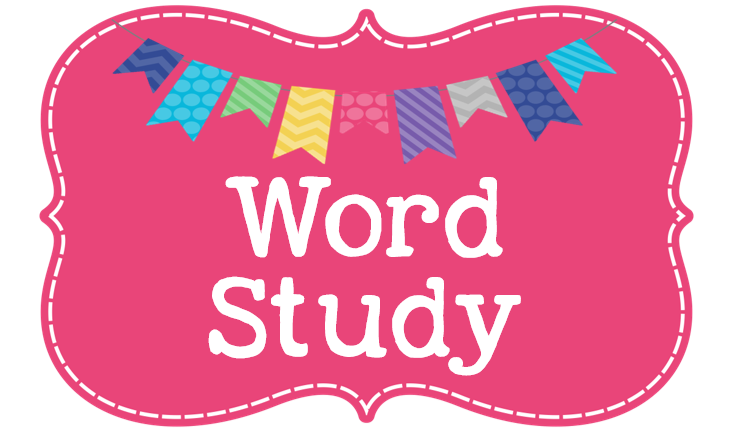 I'd love to hear how you are using this awesome resource! I always love it when I can find a way to add a little more fun into my classroom. I like it even better if the way is free! I found an awesome set of randomizers here. Today I'd like to share some ways I use this great site in my classroom. There are currently 22 different randomizers on the site. Here is a sample of how I am using them. 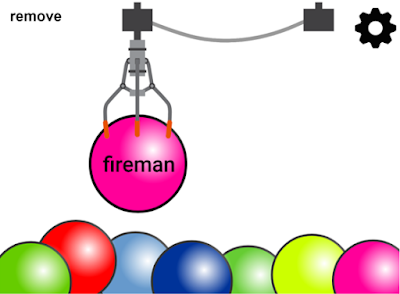 There are a variety of different name pickers you can use. 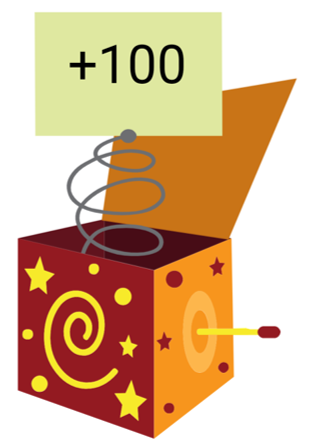 I selected the one below and filled in values that were +/- multiples of 10/100. I can assign students a number to write on their dry erase boards. Next, I tap the SMART Board, and the second part of their equation appears. I love the random dice option. You can choose between one and ten dice to roll at once. 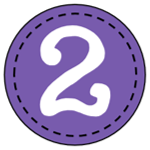 This works great for differentiating when you are doing activities like number strings. 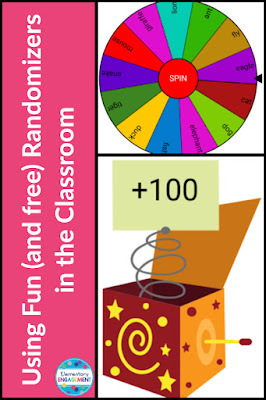 After sharing the site with students, they can choose (or you assign) the number of dice to roll and add. I used the random spinner when we were working on action verbs. 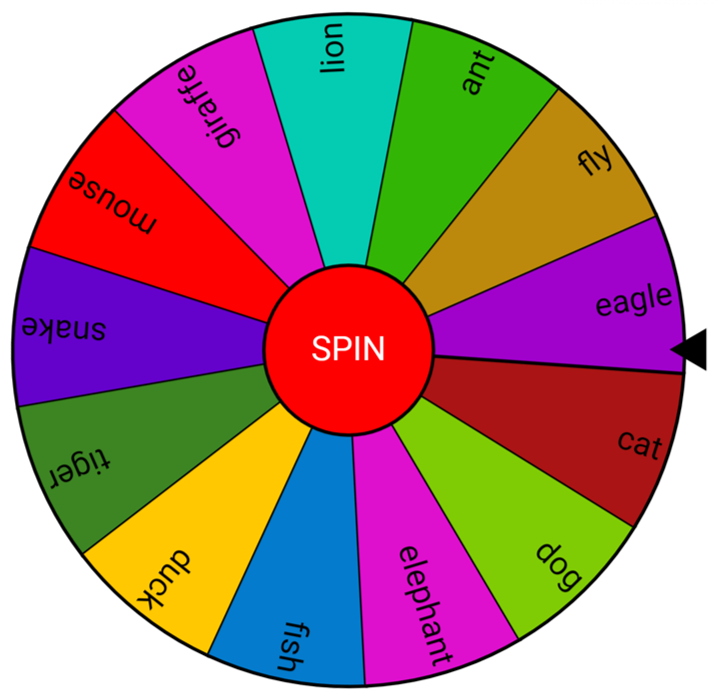 I added a variety of different animals on the spinner. (You can add as many as you want.) Students spin the wheel, and then they have one minute to brainstorm as many action verbs as they can to go with the animal. The claw machine is one of my students' favorites. I used this one when we were practicing possessive nouns. The claw grabs a noun, and the students write a sentence using the noun in a possessive form. These pickers could easily replace or enhance the "picking sticks" system. I like that there is an option to remove words/numbers as you go. You can also save the link the for each set. This helps to keep different turn taking systems organized. I also thought about using these in some whole class games. I might make it so the amount of points earned is random. You could also use these for rewards or the type of party the class earns. There are so many possibilities! ***There is a paid version to this site which I will likely purchase if I continue to use the site as frequently as I do now. My understanding is that the upgrade gets rid of all the ads and allows you to organize your randomizers on the site for easy access. It is only $12 a year, so I'm seriously considering it. In the meantime, I'm going to continue to enjoy the free version. I'd love to hear your ideas on how to use this great site. Please feel free to share below. We recently finished our writing unit on personal narratives. As with all of my units, I like to take a little time to reflect on what went well, as well as what I would like to do differently. 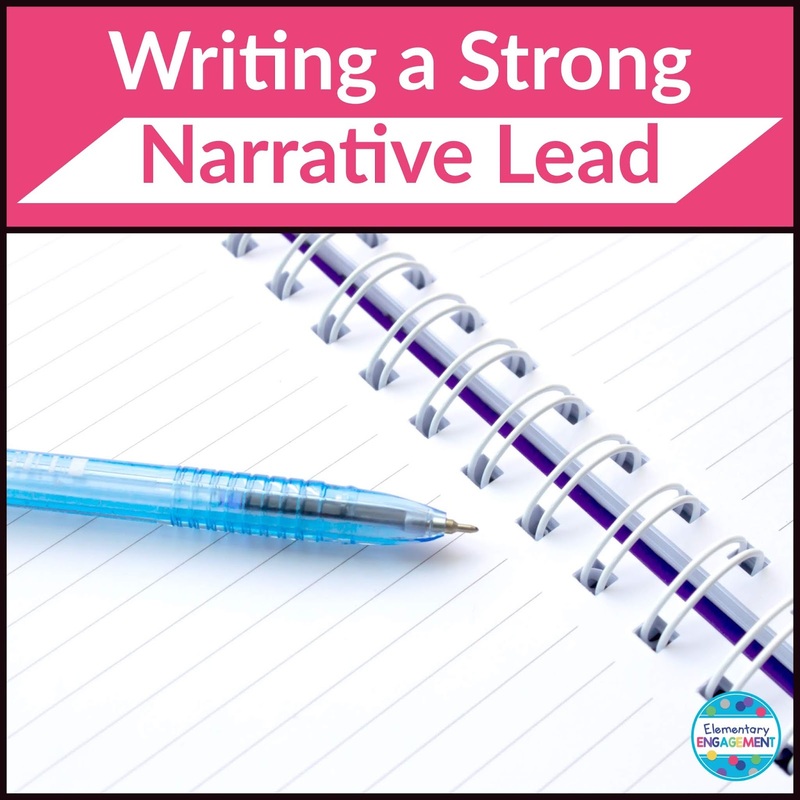 Today I'd like to share my thoughts and strategies on narrative leads. 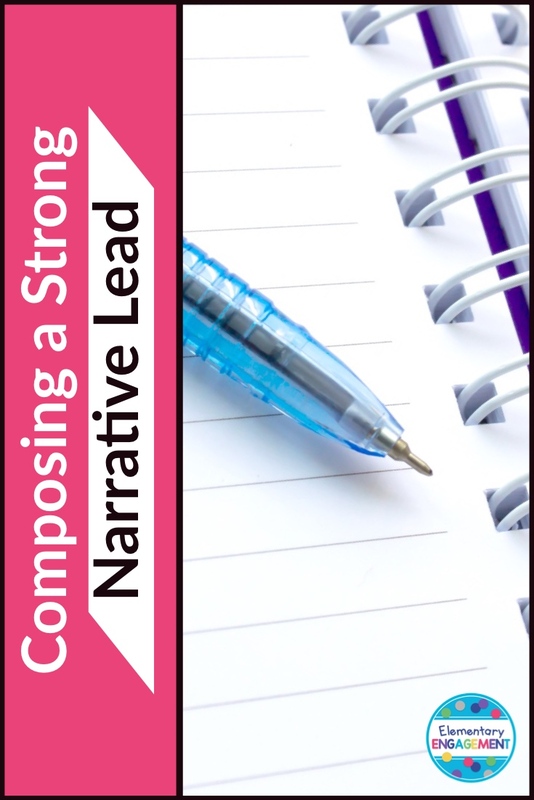 We spent quite a bit of time discussing how to compose narrative leads that hook readers. Overall, I was very pleased with the leads my students used for their narratives. 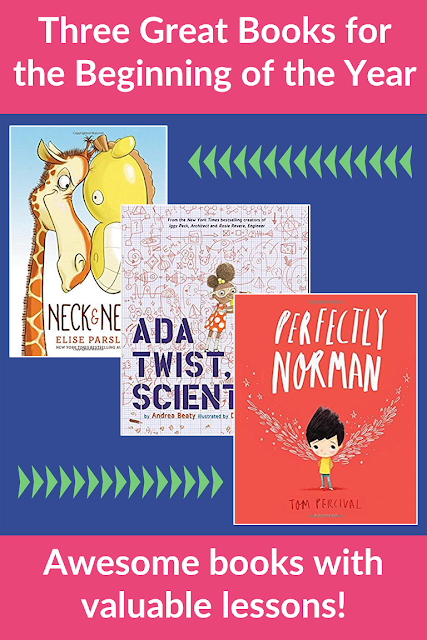 First, I went back and talked about the leads in several of our past read alouds. 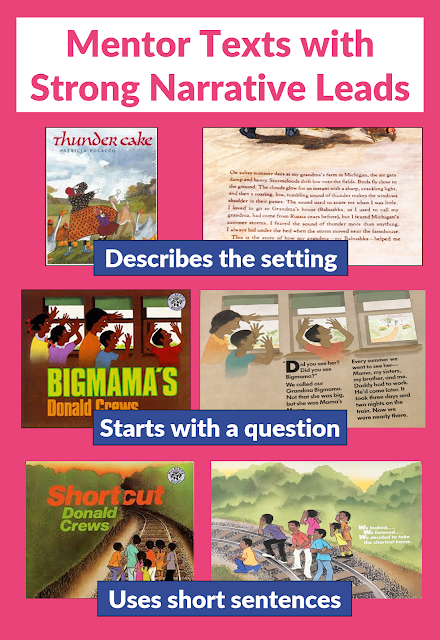 I have used a variety of narratives mentor texts over the years. The image below shows three of my all time favorites. After going over these leads, we discussed the different strategies authors used to hook their readers. I gave my students the list below to glue in their notebooks and to use as a reference. You can download these charts here. I also gave them this list to play "Name that Lead". I showed students a variety of leads on our SMART Board, and they had to identify the strategy that was used by placing the number on the lines provided. I was very flexible with their responses. I was not looking for a precise answer, but rather I wanted students to be inspired to craft their own leads. Here are the leads we used. Next year I may try a twist to this activity. 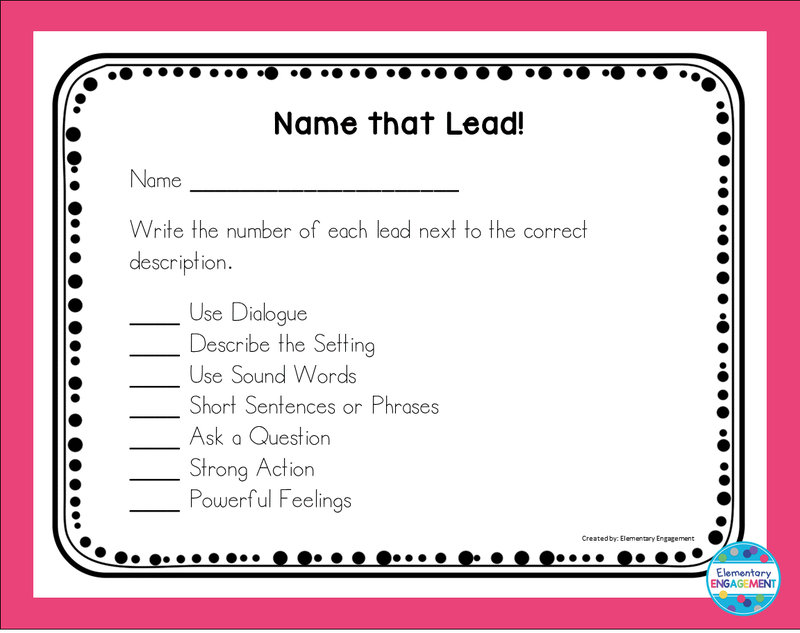 In order to get more students actively involved in the discussion, I was thinking about printing out the leads and setting them out around the room. 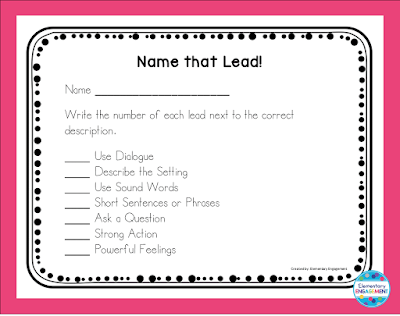 Students could read the leads in small groups and discuss what type of lead was used. We will continue to address composing strong leads as we write different genres throughout the year. One of the things I like best about teaching second grade is the huge growth that I see in my students as writers. I am looking forward to seeing how they take what we have learned and apply it to future writings. 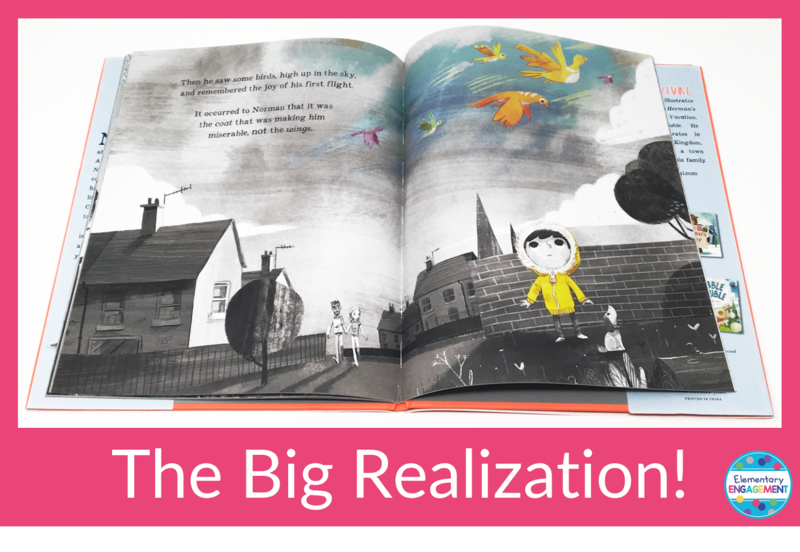 I would love to know if you have a favorite mentor text for teaching narrative leads. I am always on the lookout for great books! 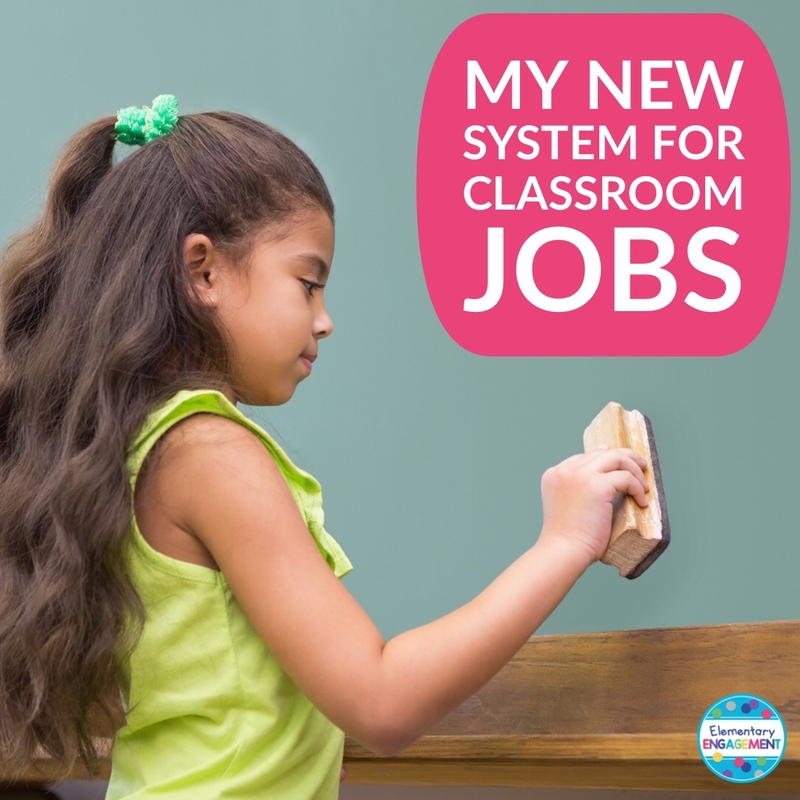 Over the years, I have tried many systems for assigning student jobs. Today, I'd like to share what's working this year, after combining some different aspects of what has worked in the past. When I taught intermediate grades, I found that I liked having various committees. Initially, when I moved to second grade, I went back to individual jobs. My plan was always to either have some type of rotating schedule or to have students re-select the jobs they would like every two weeks. I ran into two problems with these methods. First of all, it seemed the switch would occur right when students were getting used to their jobs. Secondly, it could be very time-consuming for students to select their jobs. This year, I decided to go back to committees, but I made a few adjustments from the way I used to run them. The students and I worked together to determine what the committees would be and how many students should be in each committee. 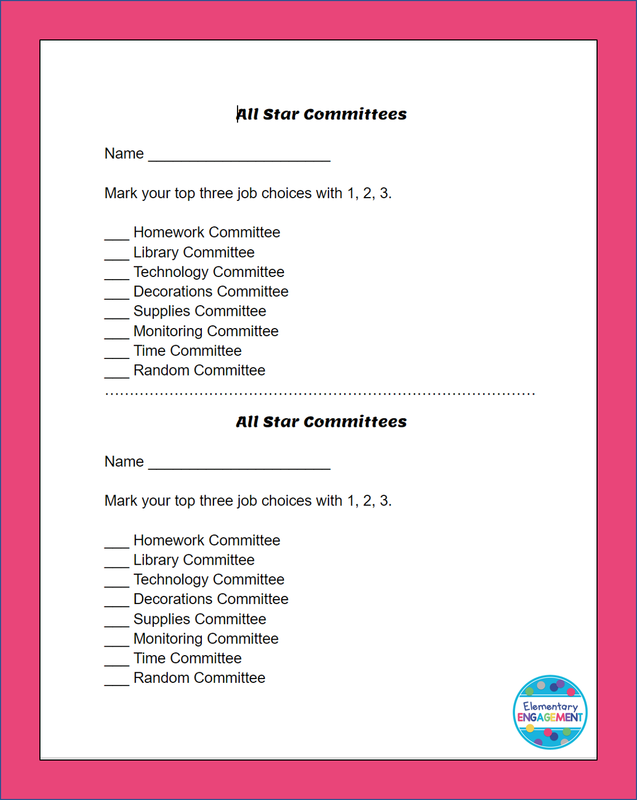 The next day, I handed out the form below for students to select their first, second, and third options. I sorted the forms and assigned committee members accordingly. I know change is good for some, and others would want to remain on the same committee throughout the year. 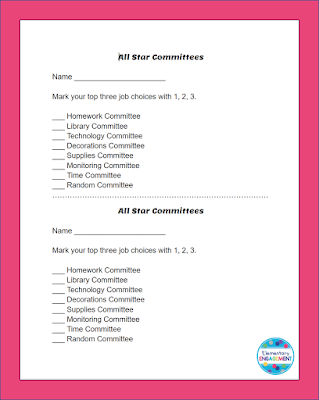 I knew I needed a quick, easy way to display the committees, the responsibilities, and make it easy for the students to switch as needed. Enter Velcro tape and this design. Now, at the end of each month, students are able to switch jobs if they wish. I simply remove the numbers of the students who want to switch (only a couple this first time) and randomly select them. The students choose their new jobs in the order they were drawn. Even if a student isn't completely happy with their new committee, it's only for a month, and then they will be allowed to change again. 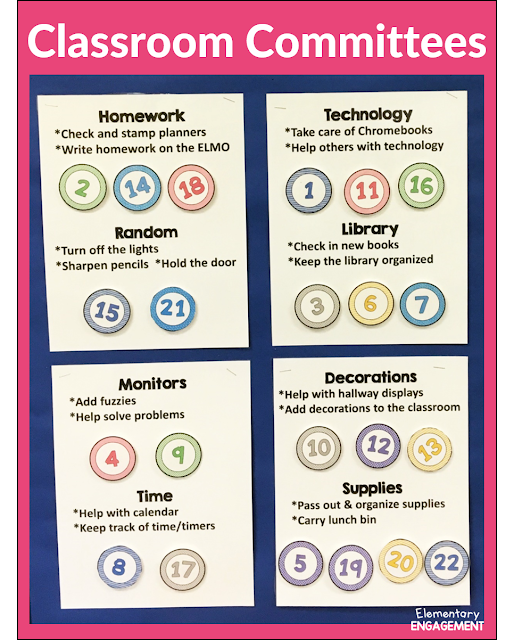 If you'd like to try this system, but need student number labels, I have seven options in my store. I use these for so many things in my classroom! You can see the color options below. All sets are 20% off until the end of the day on Wednesday, October 3, 2018. The start of a new school year is just around the corner. As I started looking through my plans for the first couple of weeks, I decided that I wanted to freshen up the books I read at the beginning of the year. I had a Barnes and Noble gift card burning a hole in my pocket, and it was time to use it. After a lot of browsing, I found three great books that I'd like to share with you today. Neck & Neck, by Elise Parsley, is the story of a giraffe named Leopold who is very used to getting plenty of attention at the zoo. That is, until one day when a boy brings a giraffe balloon and argues why the balloon is better than the live giraffe. Jealousy gets the best of him, and the giraffe pops the little boy's balloon. However, the boy returns with a whole bunch of giraffe balloons, clearly getting on the giraffe's last nerve. The boy eventually looses control of the balloons, and the giraffe has to make a decision. It's a tough choice, as you can see from the picture below. 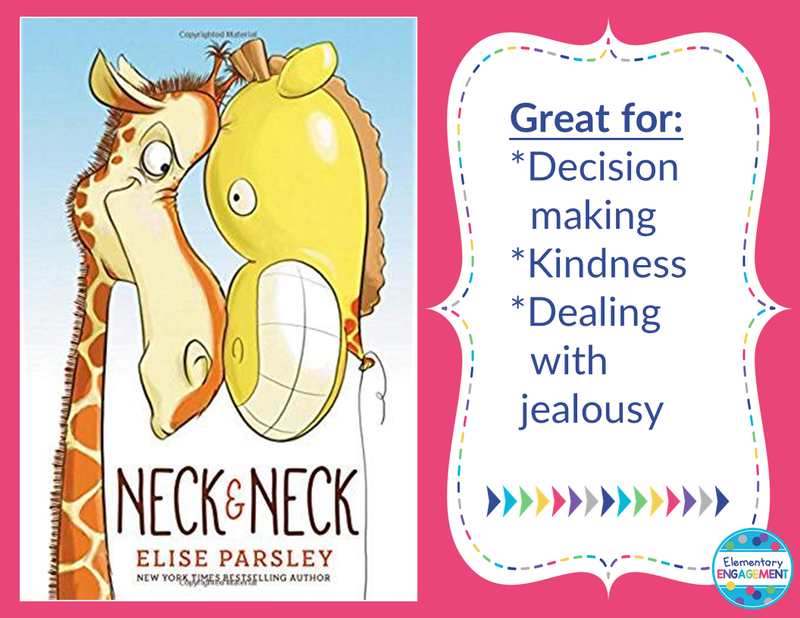 This is such a great book to read at the beginning of the year when focusing on kindness, decision making and/or dealing with feelings like jealousy. 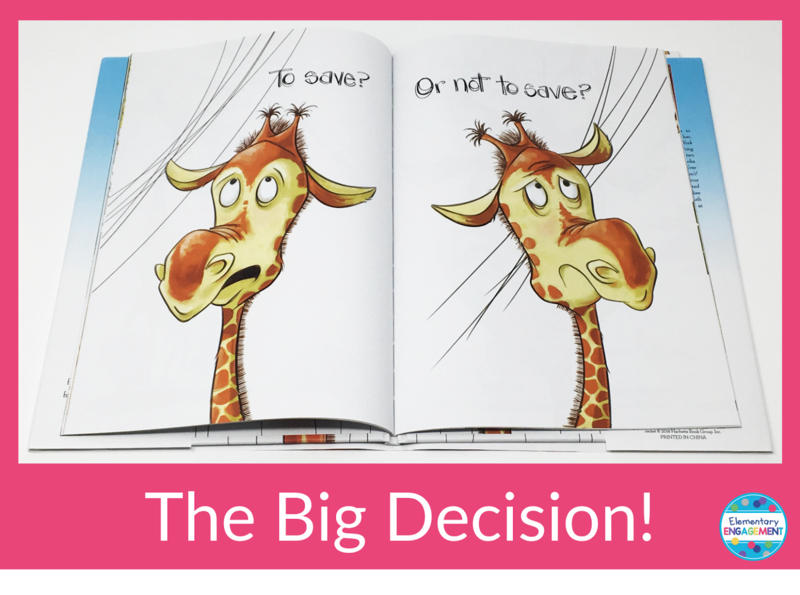 I'm planning on having students do several turn and talks, especially about empathizing with the giraffe and giving him some advice when he has to make the decision. I can't say enough good things about Ada Twist, Scientist by Andrea Beaty. This is the story of young girl who was bursting with questions. She wants to know how and why everything works the way it does. Although her curiosity exhausts her parents and teacher at times, it's highly encouraged. I just love how her questions keep growing and getting deeper as Ada gets older. 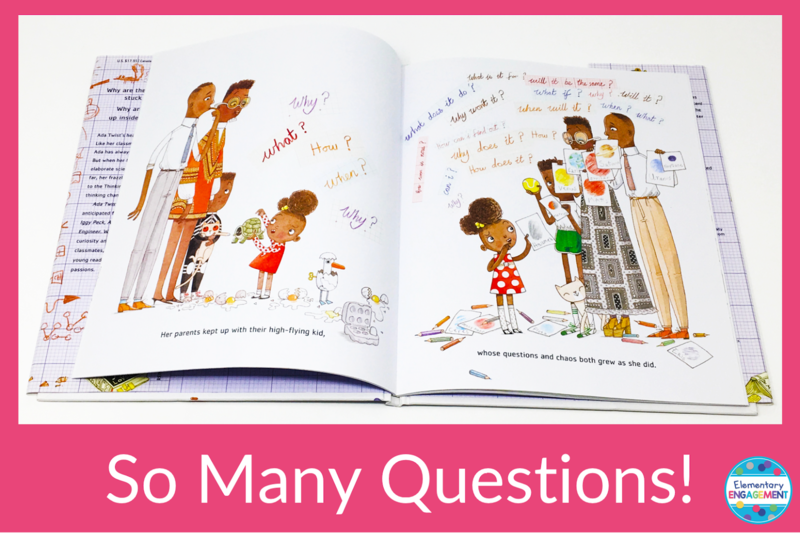 Ada's never-ending perseverance to find answers to her questions is sure to be an inspiration for students to ask questions and foster their own curiosity. This is the perfect book to read during our first science class. I especially love how the main character is female, busting the (hopefully shrinking) stereotypes about the talents that boys and girls "should" possess. Asking questions is such an important skill in any subject and in life. Any book that encourages this in such an entertaining way definitely becomes an instant favorite to me! Perfectly Norman, by Tom Percival, is a great story about having the courage to be yourself. Norman is a very "normal" boy until the day he grew a pair of wings. Norman instantly loved his wings, flying all over the place. Shortly after growing his wings, however, Norman realized how different he was. He became worried about what other people might think. To solve this problem, Norman decided to cover his wings with his coat, which made him miserable. I love how Norman eventually realized that he was responsible for feeling miserable, not the wings. This book could lead some great discussions about finding and sharing your talents or aspects that make you unique. This will be one of the first books I read at the beginning of the year because it is the perfect lead in to get students talking about sharing their talents, and accepting others even though their talents and interests may be completely different. What books are you most excited about right now? I'm always looking for new titles, so please share. 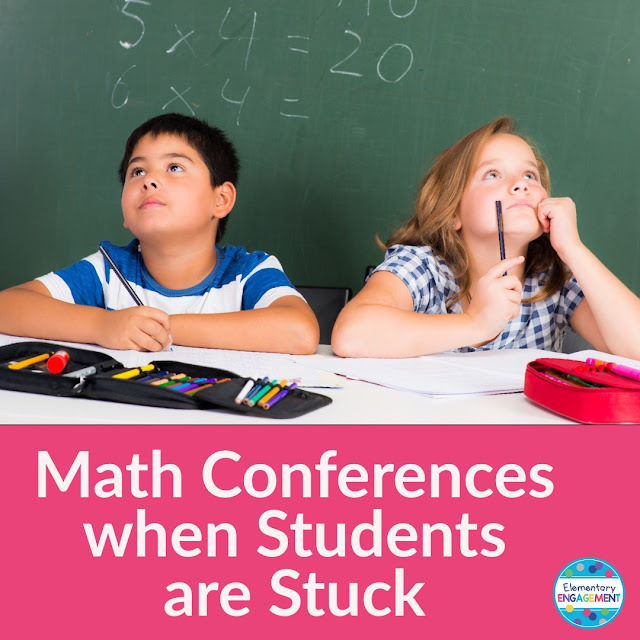 It seems like feelings toward challenging math problems tend to lean toward extremes. Students either really enjoy them or they really don't. Many of my goals for this year revolve around math, including helping students stay motivated, even when the problems get tough. I'm working toward having a math class where students take on challenges with optimism and enthusiasm. Today, I'd like to share some strategies I read about regarding conferring with students when they are stuck and aren't sure where to start. 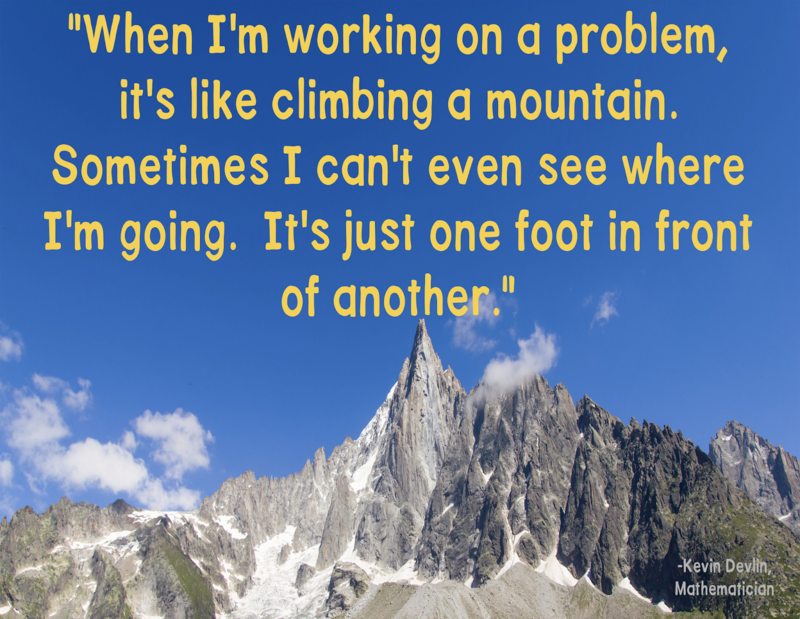 The focus of my professional reading this summer has been on helping students overcome obstacles when tackling tough math problems. This year, I am going to model my approach to math conferences based on Catherine Fosnot's awesome book, Conferring with Young Mathematicians at Work. You can read more about this book on my post here. 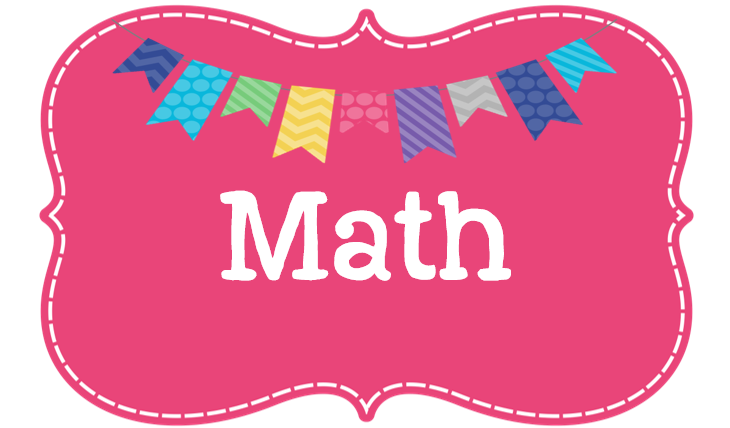 I plan to start off the year with some discussion on appreciating and valuing math struggles. 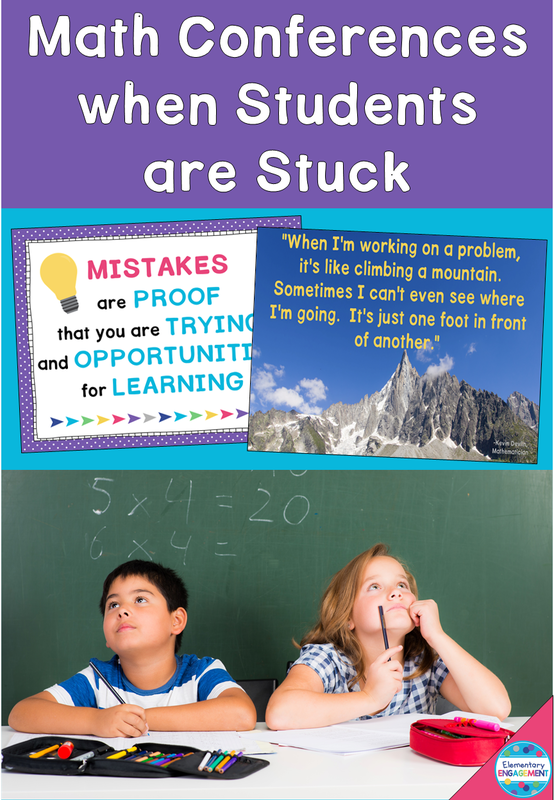 Fosnot suggests using quotes from mathematicians to lead discussions on the value of "being stuck". I hope that some of these quotes will bring an understanding that even famous mathematicians get stuck. In fact, that's what keeps them going! I created the poster below, and I plan on posting in on my wall where I have problem solving strategies. If you'd like a copy, you can download it here. You can find some more great quotes here. In addition to whole group conversations, I want to carry out this love for a challenge to my conferences. 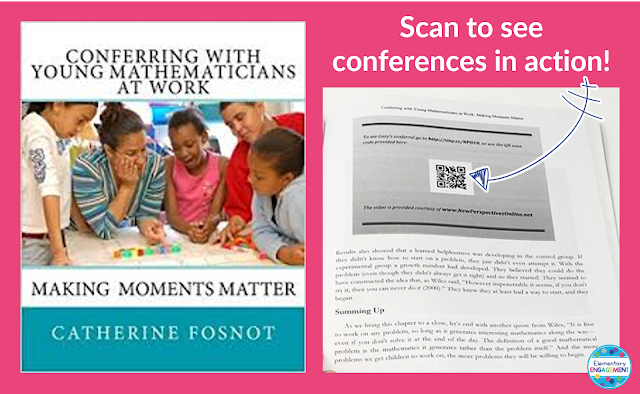 I definitely plan on using Fosnot's suggestions for conferring with students who are stuck. Below is a list of some of my favorite ideas from that chapter. *Agree that the problem is challenging. 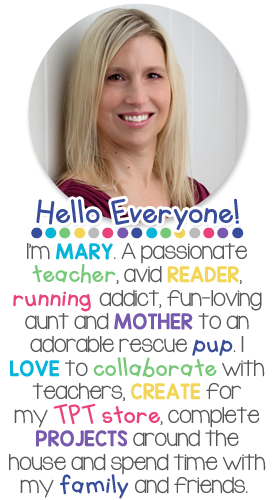 This will help students view the teacher as part of the learning community. *Remind students about of earlier conversations about how even famous mathematicians struggle. *Focus on questioning for strategies over leading students to the correct answer. These questions include ones like, "Does this problem remind you of a similar problem?" Another open-ended question is, "What resources might help you solve this problem?" My focus for these students will be to just get them started, whether that's with numbers, words, or pictures. *Acknowledge and celebrate any math that was done correctly. *If the process seems to be going well, but the answer is incorrect, try saying something like, "Let's make sure that we got that correct." Focus on the process. I will keep you posted on how these strategies are working. Right now, I am going to continue my reading and resource gathering. 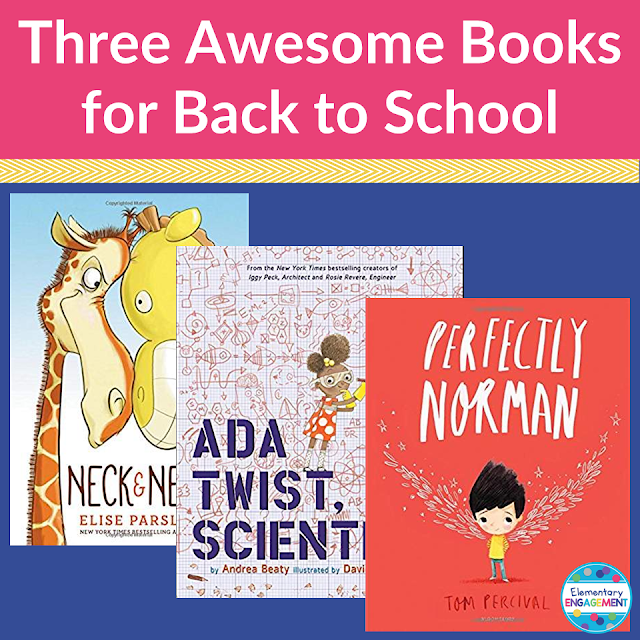 We just have 2 1/2 short weeks of summer left, so I'm definitely in "back to school mode". I hope everyone is having a great summer! If you're like me, thoughts are starting to swirl around in your head for the next school year. (We go back early - 8/13.) Today I would like to share a great book I read this summer about math conferences. I like how I've done my conferences in the past, but I know they should be better. With that said, let's get to it! The book is call Conferring with Young Mathematicians at Work, and it is awesome! 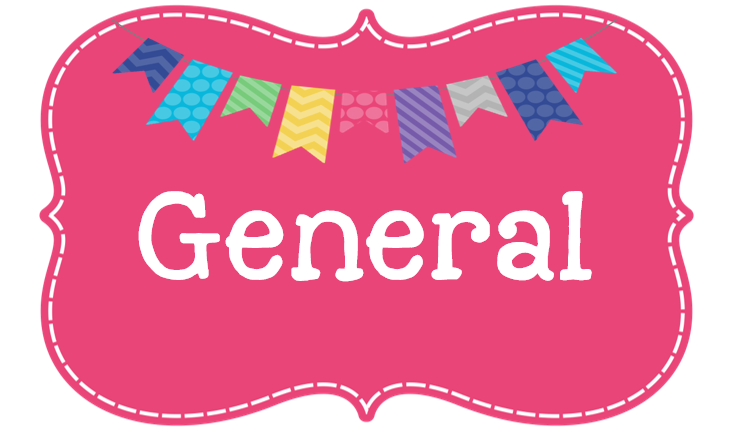 The book covers general topics such as comparing writing conferences to math conferences as well as specific topics like conferring to develop an understanding of fractions. At the end of each chapter, there is a QR code, so you can see the concepts put into action. For example, after reading the section on what to do when students are stuck, I watched this video. The combination of reading and watching helped bring the concepts to life, and I immediately found actionable steps I could take to improve my own conferences. While I read the book, I took notes of ideas, things I was doing right, and steps I could take to improve my math conferences. Here are a few of the key points I plan to keep in mind for next year. *Focus my talk on questioning over just getting students to the correct answer. *Make sure conference questions are open-ended. *Enrich by having students go beyond showing their work and have them defend their answers. *Challenge students to justify each step in the process. *Continue to compliment students on their thinking. *Focus on the next step (no matter where students are currently). 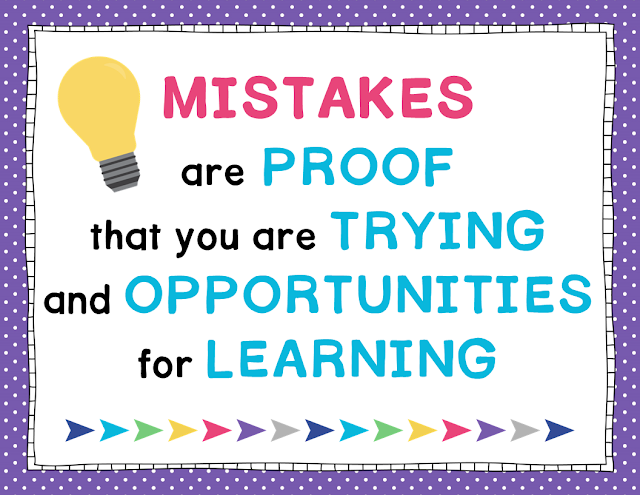 *Use quotes from mathematicians to encourage students to try "juicy problems". Hard=Fun! 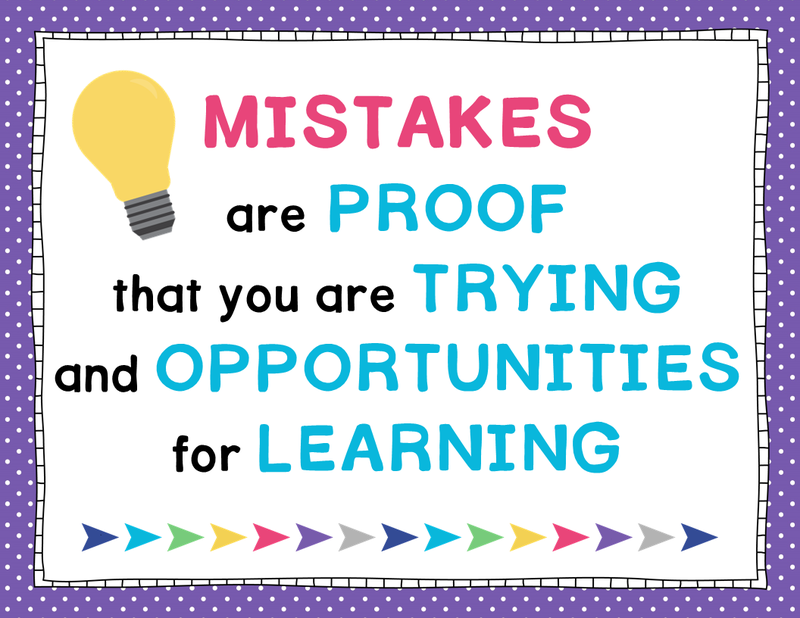 *Continue to reinforce a growth mindset. ***My plan for future posts is to go more in depth with how I plan to implement some of the key points from my reading. I will share any related resources with you as I create them. © 2015 Elementary Engagement. Natasha Template designed by Georgia Lou StudiosNatasha Template customized by A Bird in Hand Designs All rights reserved.